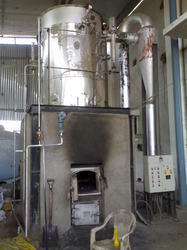 Leading Manufacturer of oil fired thermic fluid heater, gas fired thermic fluid heater, coal fired thermic fluid heater, agro waste fired thermic fluid heater, wood fired thermic fluid heater and thermic fluid heated steam generator from Pune. We offer vertical, coil type, Oil fired Thermic Fluid Heater for the capacity range; 0.1 million kcal/hr to 1 million kcal/hr & horizontal, coil type, oil fired thermic fluid heater for the capacity range; 1 million kcal/hr to 4 million kcal/hr. We offer vertical, coil type, Gas fired Thermic Fluid Heater for the capacity range; 0.1 million kcal/hr to 1 million kcal/hr & horizontal, coil type, gas fired thermic fluid heater for the capacity range; 1 million kcal/hr to 4 million kcal/hr. Our oil fired thermic fluid heater has applications in various types of industries like chemical, rubber, edible oil, textile etc. where hot thermic fluid is required for indirect process heating purpose with high process temperature requirements generally above 200 deg. C & LPG or Natural Gas is available in the installation region. 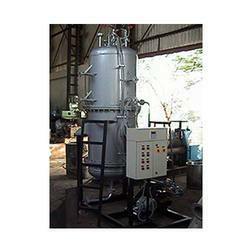 We have been dealing in the export and manufacture of Coal fired Thermic Fluid Heater. The offered coal fuel thermic fluid heater is powered by the natural coal blocks. Our offered coal fuel heater employs an indirect method of heat transfer, by utilizing a petroleum-based fluid as the transfer medium. The offered heater maintains a constant temperature, for the uniform heating requirements. Our offered heater is acclaimed for minimal heat loss to the atmosphere. Our coal fired thermic fluid heater has applications in various types of industries like chemical, rubber, edible oil, textile etc. where hot thermic fluid is required for indirect process heating purpose with high process temperature requirements generally above 200 deg. C.
We are one of the well-known exporters and manufacturers of Agro Waste fired Thermic Fluid Heater. The offered agro waste fueled heater is very cost effective, owing to the huge savings in the fuel costs. Our supplied heater has high thermal efficiency, due to the employed, latest fuel combustion and heat transfer technology. The offered heater is a low maintenance and high operating availability machine. Our agro waste fired thermic fluid heater has applications in various types of industries like chemical, rubber, edible oil, textile etc. where hot thermic fluid is required for indirect process heating purpose with high process temperature requirements generally above 200 deg. 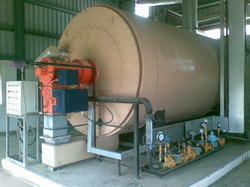 C.
We have been dealing in the export and manufacture of Wood fired Thermic Fluid Heater. The offered wood fuel heater is known for high combustion and heat generation efficiency. Our supplied wood fuel heater is versatile in the, even wood fuel distribution to achieve greater combustion results. The offered wood fuel thermic fluid heater is available at economic and reasonable market selling price. Our wood fired thermic fluid heater has applications in various types of industries like chemical, rubber, edible oil, textile etc. where hot thermic fluid is required for indirect process heating purpose with high process temperature requirements generally above 200 deg. 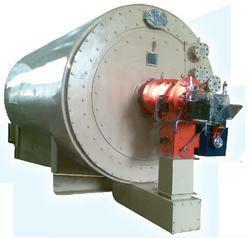 C.
We are one of the well-known exporters and manufacturers of Thermic Fluid Heated Steam Generator. The offered steam generators are used in the industries, as indirect heating appliances. Our offered steam generators employ the petroleum-based fluids for heat transfer and constant temperature maintenance. The offered steam generators have an inbuilt pneumatically operated control valve, which regulates the flow of thermic fluid, inside the generator. Our offered steam generators continuously monitor the system load, to operate on low and high fire settings. Looking for Thermic Fluid Heaters ?